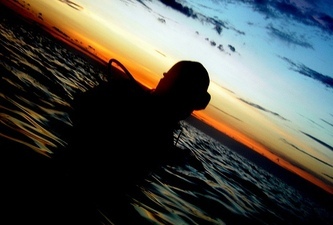 Open Water Referral Rescue Diver Night Diver FAQ. Learning to Dive is easy and it's fun. 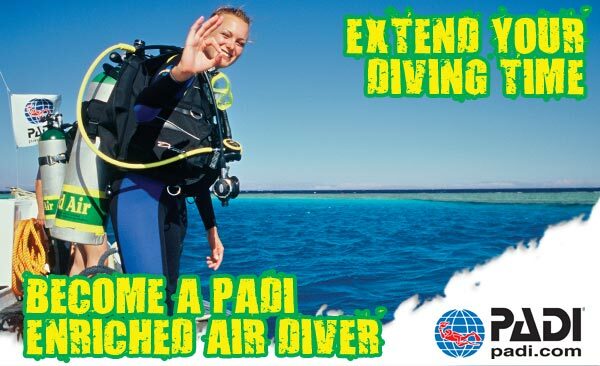 as well as PADI dive courses for beginners. All prices are quoted in Euro. For your convenience there is a 'Currency Calculator' quoting the daily rate of exchange. 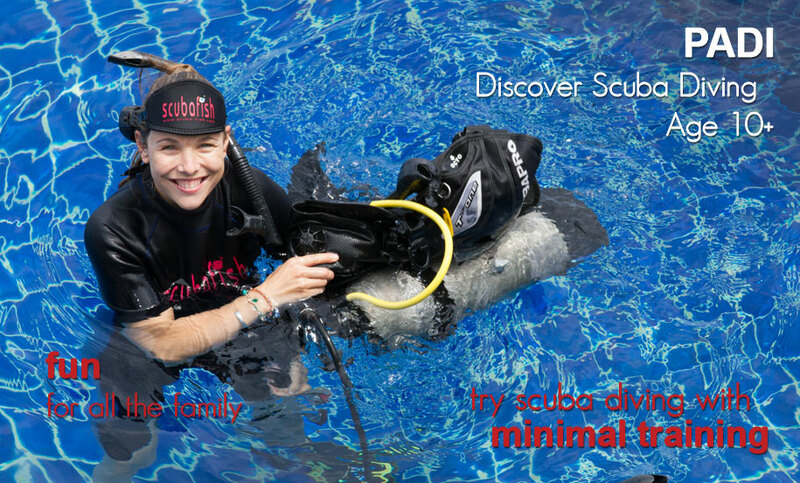 Note : All courses include PADI certification, full equipment and course manual. Divemaster crew-pack not included in course price. Bubble Maker Programme is for boys and girls aged 8years and above. I'ts fun, easy and safe. 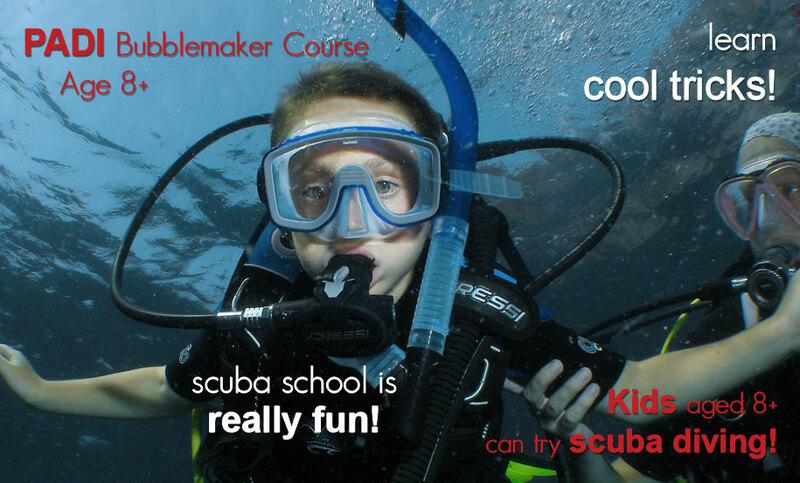 The PADI Bubble Maker Programme is a way for youngsters to join in the family fun of Scuba Diving or even start a trend! Children should be OK in the water, but they don't have to be super swimmers as the maximum depth is on 2 m/6ft. 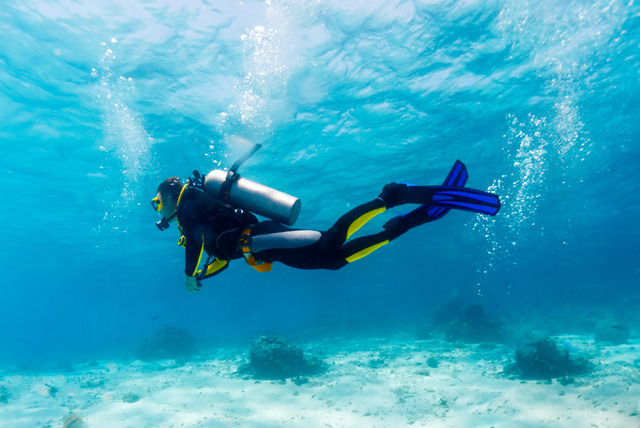 Also called a Resort Course or a Try Dive, this is a gentle, easy introduction to scuba for those who have not yet tried diving and are perhaps considering taking one of the entry level certification courses but would like to try a dive on scuba first. DSD is an experience program, not a certification course. Price includes full equipment, certification & manual. This entry level course is designed for those who do not have the time to devote to the full Open Water Diver certification. 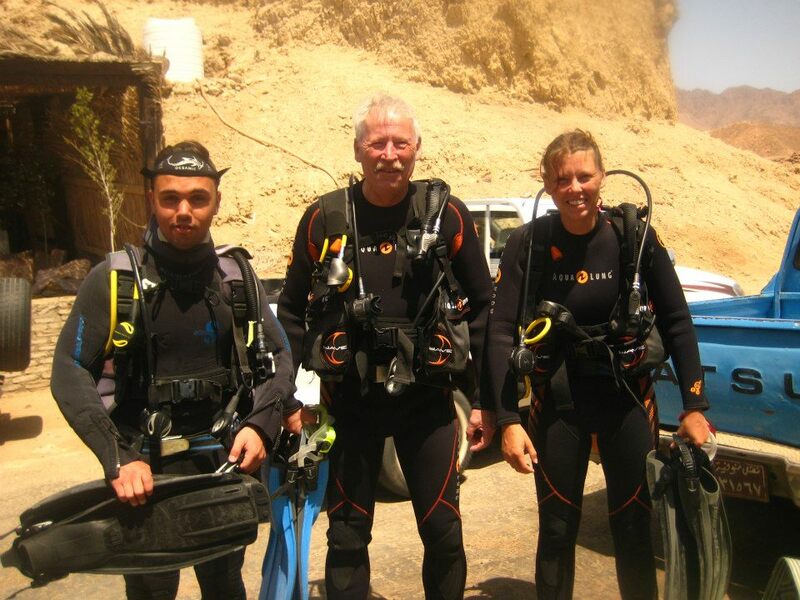 The course is generally completed in 2 days and we do suggest that you upgrade to the full Open Water Diver certification at your earliest convenience. Earning your PADI Open Water Diver certification takes approximately 4 days to complete. In this course you will learn basic dive theory and master the basic skills needed to be safe and comfortable while exploring the underwater world. Further Information. This is for the student who has completed the theory and confined water sessions for the Open Water Diver certification & wishes to do the actual dives here, rather than in a cold lake or quarry. You must have a Referral form from your initial Instructor, signed and completed within the last 12 months. If you started your dive course with another training agency, ask us how you can complete your dive course with PADI. The next step in your continuing diver education is the PADI Advanced Diver certification, designed to allow you to try different types of diving while under the supervision of one of our Instructors. Some of the dives you may choose to try include: U/W Naturalist, Search & Recovery, Night or Wreck dives. This course is not just for divers. 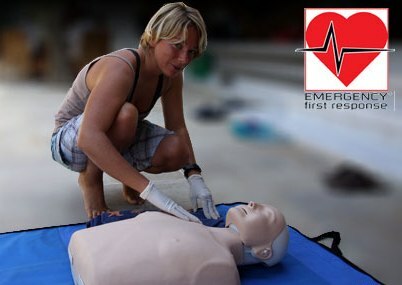 Topics covered include basic first-aid and Cardio-Pulmonary Resuscitation (CPR). 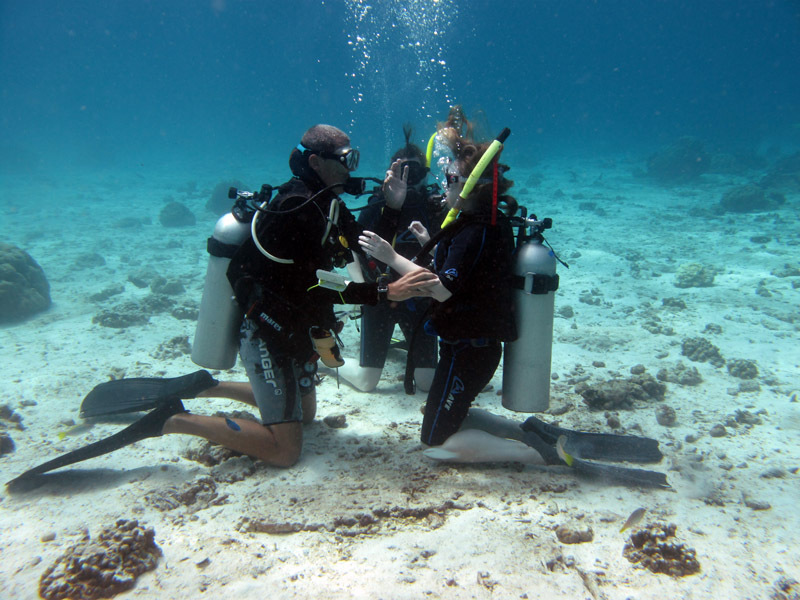 In order to earn your PADI Rescue Diver certification, you must have these basic skills. A good idea for all divers, in this course you will learn basic rescue skills, both self-rescue and to help others in need of assistance. Price includes full equipment & certification, excludes manuals. 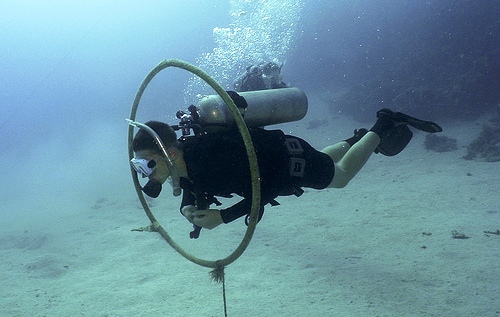 Buoyancy is the most important skill you can master when scuba diving. Good buoyancy will give you a better position in the water, you will use less air and feel more comfortable and relaxed while underwater. You will be able to get near to the reef without worrying that you will crash into it and damage sensitive aquatic life, you will get longer underwater and see more on each and every dive. Good buoyancy is not difficult, but it takes a little work. The Peak Performance Buoyancy course is just what you need to take your buoyancy skills to the next level. Discover the adventure of night diving. Even a familiar dive site can change beyond all belief as darkness descends and the aquatic life changes from the day shift to the night. Everything takes on a different feel, your senses become sharper and your attention is drawn by the fascinating creatures of the nocturnal marine ecosystem. You will learn about night diving equipment and how to plan dives. Special night diving techniques and considerations. Selection and preparation of diving torches. * 150 Euro for three dives or 100 Euro for two dives, if the diver has already done a night dive as part of their Advanced Open Water Course. 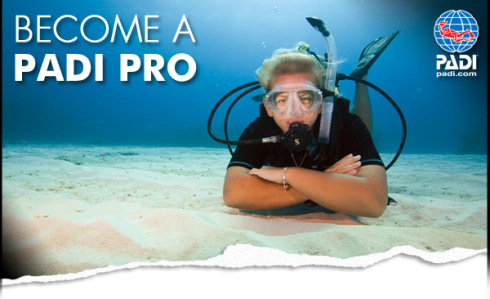 The first step into the professional levels of recreational diving! the Divemaster course allows you to work closely with your instructor to develop your skills as professional diver, expanding your knowledge, gaining experience and developing your leadership abilities. On completion of your course, you will be qualified to supervise diving activities and assist instructors with student divers. Haven't been diving for a while? Perhaps you would like to spend some time re-acquainting yourself with diving equipment, going over some of the basic dive theory, such as tables, and refreshing your dive skills in the shallows, followed by a nice gentle, "get re-acquainted" dive. Make sure you are fit and healthy before diving. 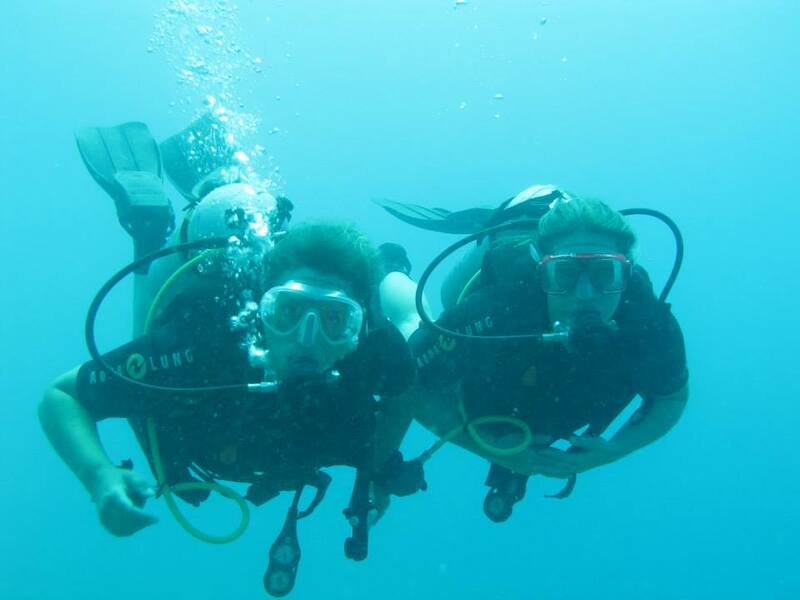 If you want to do a PADI Dive Course then you’ll need to fill out a PADI Health Check form. approval from a certified dive medical doctor before you dive and bring this confirmation with you. 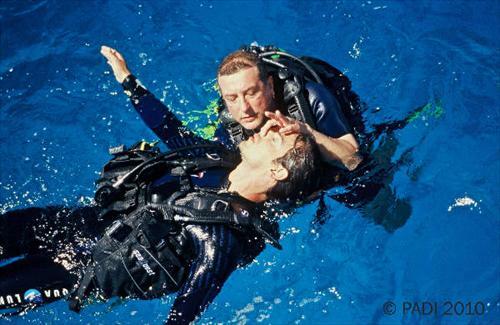 If you would like a copy of the PADI Medical Statement please Click Here. 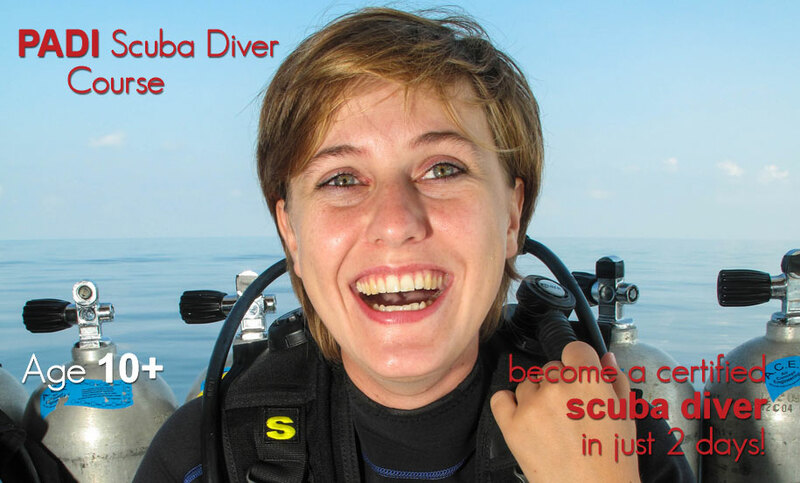 NB: Equipment for all courses and transport to dive site is included in the price.